There has been a lot of talk these days about U.S. citizens vowing to move to Canada –but actually, there is a case to be made for Canadian snowbirds who are dual Canadian/American citizens to consider renouncing their U.S. citizenship –and it has nothing to do with politics. The requirement for Americans to file tax returns annually with the IRS, often including many different disclosure forms, even if they have lived in Canada for years and pay their taxes to Canada. Being a dual citizen can make Canadian estate planning much more complicated than it needs to be. In many cases, dual citizens have lived in Canada for decades, or were brought to Canada by their parents. They no longer identify as Americans, if they ever did. In the case of adult Americans who chose to move to Canada and have been here for most of their working lives, they often state their main reason for renouncing citizenship is that they just don’t “feel American” any more. They have closer ties to Canada than they do to the U.S. 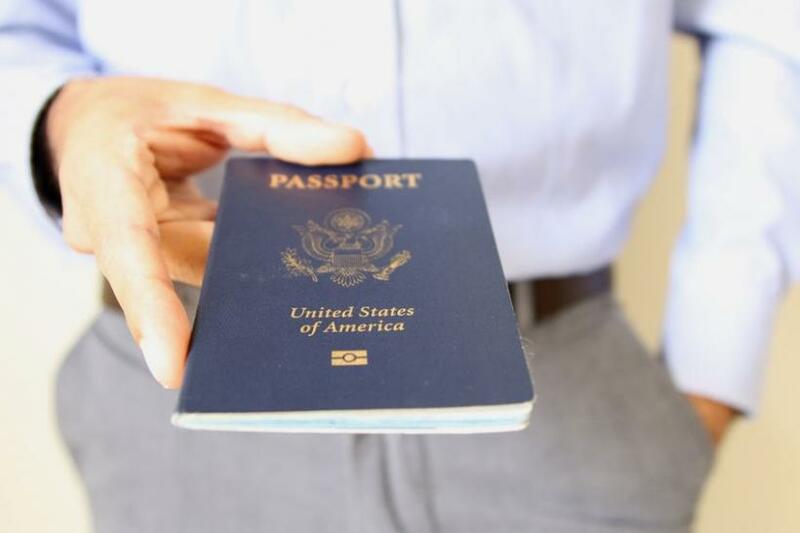 It is true, however, that the onerous requirement of annual tax filings and invasive disclosure forms are often the main reason that people choose to renounce their U.S. citizenship. Dual citizens have to file a tax return in the U.S.to report their world-wide income even if none of it is from U.S. sources. They also have to file disclosure forms for bank and brokerage accounts, both individual and corporate, plus separate forms for any trusts, RESPs, or Tax-Free Savings Accounts (“TFSA). Many dual citizens resent having to share their private financial information with a country that they have very little to do with. If handled correctly, dual citizens will receive a credit on their U.S. tax return for the taxes they have paid to Canada. There was, however, a new tax introduced by the U.S. in 2012 – essentially to fund the Affordable Care Act – which is a 3.8% surtax on all investment income. When it comes to your TFSA, this tax is applicable, since the U.S. does not recognize the “tax free” part of TFSAs. The surtax would also apply to any interest, dividends, rental income or capital gains reported on your U.S. return, and the taxes you’ve paid to Canada cannot be used to offset it. Other than the surtax on investment income, dual citizens rarely have to actually pay income tax to the U.S. as part of their annual filings, since the taxes they’ve paid to Canada, at the higher Canadian rates, are more than enough to offset the U.S. taxes assessed. Regardless, they still are required to file annually, and the process is complicated and time consuming. On top of that, the penalties for not filing the necessary disclosure forms are high. If you don’t file, or you file late, you are subject to a $10,000 USD fine –for each form! When it comes to Canadian estate planning, being a dual citizen can really put a wrinkle in the options that are available to you, so people often want to renounce for this reason alone. The typical use of Canadian trusts, estate freezes and tax-free rollovers do not always work for U.S. tax purposes, therefore negating any benefit achieved on the Canadian side of the equation. In addition, U.S. citizens are subject to the U.S. estate tax on their world wide assets at the time of their death- even if none of their assets are located in the U.S. Renouncing or Relinquishing U.S. Citizenship – What’s Involved? There are actually several ways to end your U.S. citizenship; one way is to formally “renounce” your citizenship and the others are to “relinquish” your citizenship. To relinquish your U.S. citizenship, you have to perform a relinquishing act - something that signals your intent to lose your U.S. citizenship. There are several relinquishing acts that one can perform such as becoming a citizen of another country, or joining another country’s army as an officer, or joining an army, in any capacity, that is engaged in hostilities with the U.S. You must be over 18 when the relinquishing act is performed and you must also notify the U.S. of your relinquishing act. The challenge with this approach is proving that you intended to lose your U.S. in the process. To “renounce” U.S. citizenship, you would have to be able to certify that you are current with your U.S. tax filings for at least the past 5 years. Next, you would have to appear before an officer at the U.S. consulate to formally state your reason for no longer wanting to be a U.S. citizen and to sign an oath of renunciation. Finally, for any of the options listed above, you would have to pay the U.S. a processing fee of $2,350 USD to finalize your loss of nationality. This fee was raised from $450 USD a few years ago and previously only applied to formal renunciations, and not to relinquishments. There are two main benefits to renouncing or relinquishing. First, you are severing ties with the U.S. and therefore the U.S. laws will no longer apply to you. This would include the annual tax filing requirements. The second benefit is that your estate planning will become a whole lot simpler. You will not be subject to the U.S. Estate Tax, and will only have to consider the Canadian tax laws. It is very important to be aware that you are not allowed to renounce or relinquish simply to get out of paying taxes or for any financial reason, so you should never mention or even imply that you are renouncing for these reasons. You will need to have a legitimate reason why you no longer wish to be an American. If you are considering renouncing your U.S. citizenship, it is extremely important to get the right advice. You will first need to see an accountant experienced in dealing with cross-border tax to determine your exposure to the Exit Tax that is imposed on those who renounce. You will likely also need to speak with a lawyer who is experienced in dealing with U.S. and Canadian immigration matters to prepare you for your meeting at the U.S. consulate and future trips to the U.S. The consequences of renouncing your citizenship in the wrong way can be long lasting...you could be banned from entering the U.S. ever again. Make sure you get professional advice before taking any steps to renounce or relinquish your U.S. Citizenship!